For an upscale furniture store, image is everything. Think about how off-putting it would be for clients to arrive at the store, in search of stylish new furniture, only to be greeted with overgrown shrubs, weeds, and a hurriedly-cut lawn! 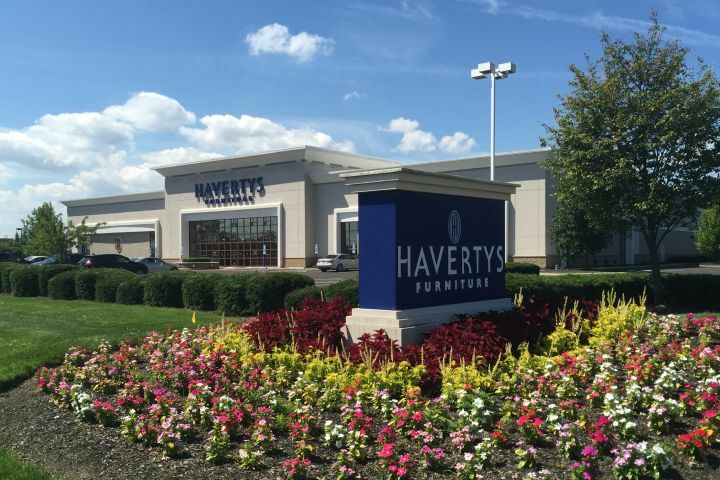 Unfortunately, that was the story for Haverty’s Furniture on Polaris Parkway in Columbus. A couple years prior, they had hired a big-name, national company to care for the facility with big promises that they would bring the outside appearance to a high level to match Haverty’s quality brand image. Unfortunately, those promises weren’t kept, and not only was the appearance lackluster, but the communication and follow through from their account representative was poor. 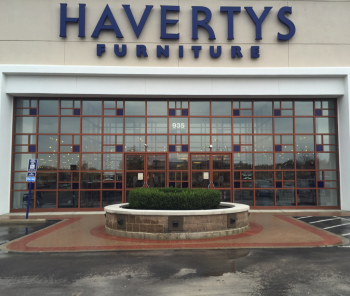 With a major renovation planned for the interior of the store in 2015, it was time to upgrade Haverty’s landscape contractor as well. 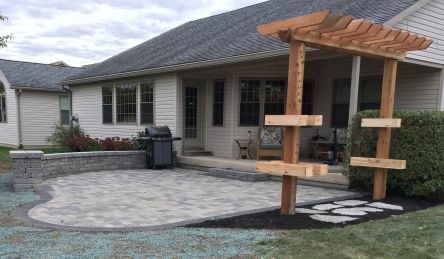 Our ProScape Sales & Solution team worked with the Haverty’s team to not only implement a premium maintenance program for the landscaping and grounds, but also some extensive enhancements to the outside of the store. 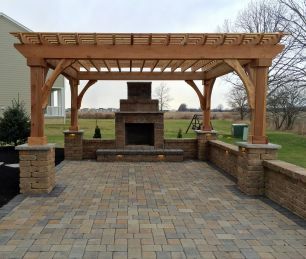 First, we implemented a step by step, multi-faceted plan to enhance the landscape and hardscape surrounding the store. 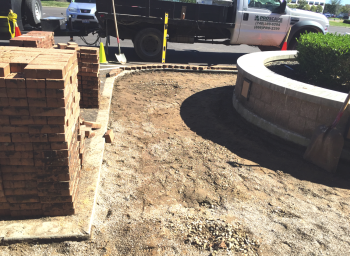 We started by working with the building renovation contractor to remove and properly replace the pavers that greet patrons outside the front entrance to the store. 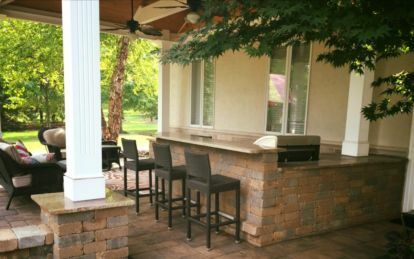 The old pavers had several damaged and settled areas and matching pavers were not available. 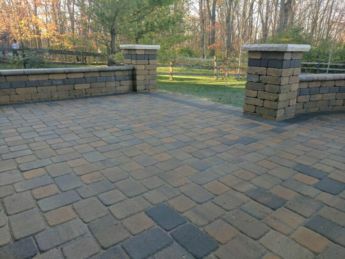 We installed all new commercial grade pavers that dramatically improved the appearance with a pop of color, as well as eliminated the hazard areas that endangered their customers’ safety. After the paver renovation was completed, we also gave the landscaping across the front and side of the store a much-needed facelift. We removed all the old mismatched and diseased shrubs and replaced them with a mix of evergreen and deciduous shrubs, picked for their hardiness and ability to withstand harsh conditions like salt and deicing materials. The new shrubs also provided variety in their color and texture for added appeal. Finally, we discovered that the previous company had not been caring for the irrigation system, and it was not functional. 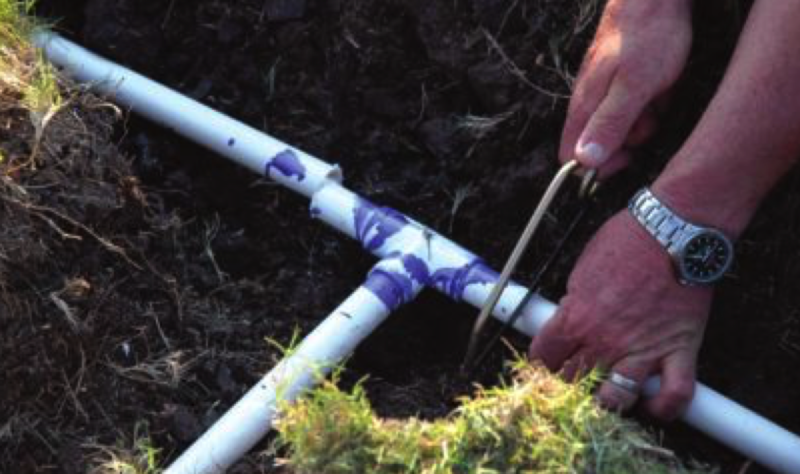 Therefore, while performing the landscape planting update, our team performed a detailed irrigation audit, then explained to the manager the necessary repairs to get it functioning properly. 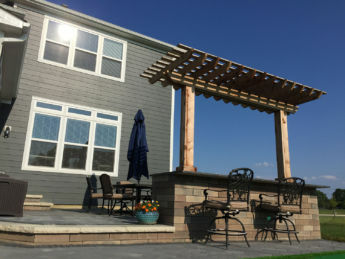 Because he understood what was wrong with the system and how we could properly repair it to protect his landscaping assets, he had no problem approving the additional work, which included repairing multiple main line breaks, rebuilding several malfunctioning irrigation valves, and replacing numerous irrigation heads. 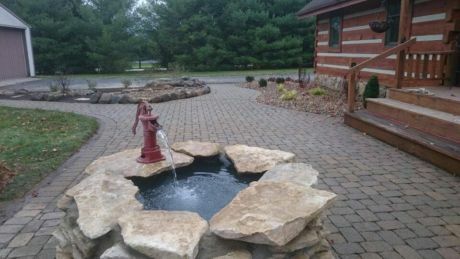 With all the projects completed, our landscape maintenance team stepped in from there and ensured that the property received timely and meticulous horticultural care, from regular mowing and bed weed maintenance, to lawn treatments and annual flower rotations. We believe there are additional opportunities to continue to improve the property appearance, but in less than a year, we made incredible progress and were honored to be of service! Looking to take your commercial, retail, or industrial property’s landscape to the next level? Contact us today for an initial consultation! 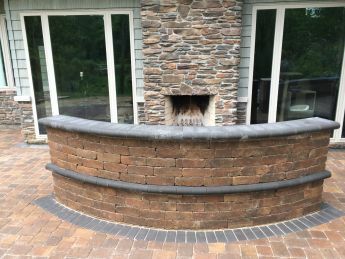 "Our experience with ProScape has been top-notch, and the appearance of our property has dramatically improved. The communication is great, the service staff is courteous and detail-oriented, and when they have promised a timeframe, they have delivered it. 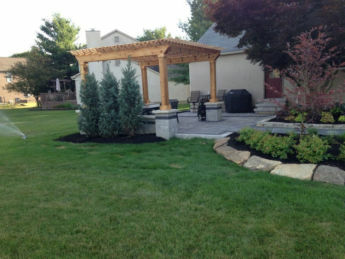 It has been refreshing to work with a quality landscape firm that actually does what they say they are going to do!"